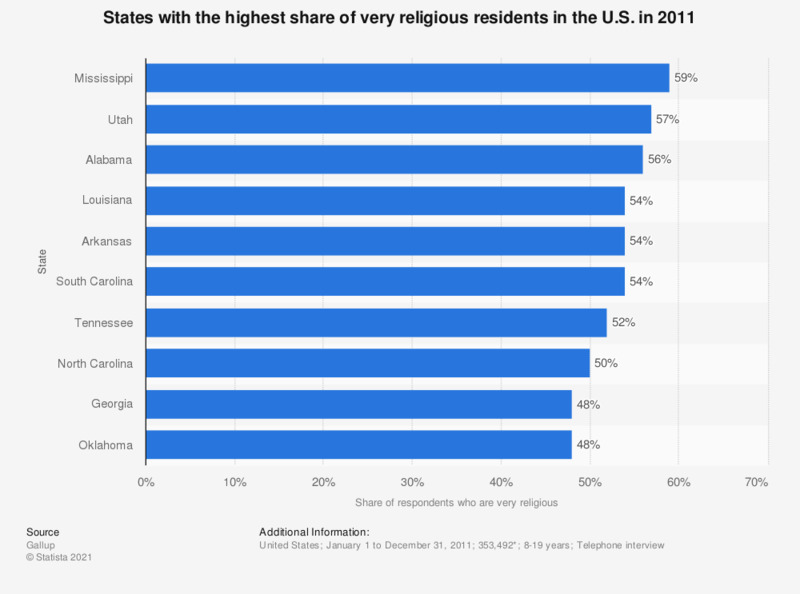 This statistic shows the U.S. states with the highest share of respondents defining themselves as "very religious" in a survey conducted throughout 2011. In Mississippi, 59 percent of respondents stated they were "very religious" in 2011. The findings are part of a survey on the religiosity of Americans, of which the total results can be found here. *Total number of respondents in the United States. Overall, the share of "very religious" Americans is 40.1 percent.